Pressure cook beef with ginger, garlic, green chilli, turmeric powder, salt and 1/2 cup of water for 5 - 6 whistles or till beef is cooked. Set this aside. In a pan, cook tapioca with salt and turmeric powder. When it is cooked, drain the water and set cooked tapioca aside. Heat oil in a pan. Saute sliced onion. When onion turns translucent, add ginger garlic paste and curry leaves. Saute for 2 minutes. Now add coriander powder, chilli powder, pepper powder and garam masala powder. Saute for 1 minute on low flame. Now add cooked tapioca and cooked beef along with its stock, which is set aside. 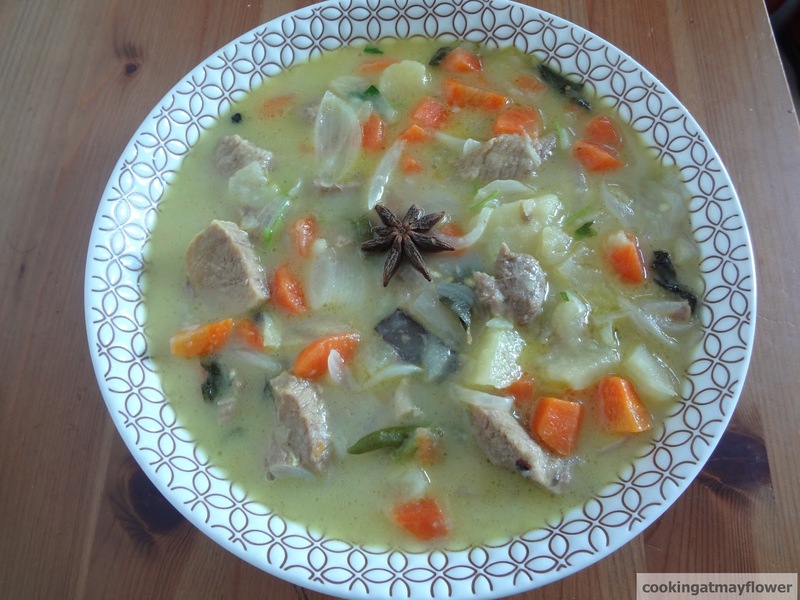 When the curry is lightly thickened, switch off the stove. 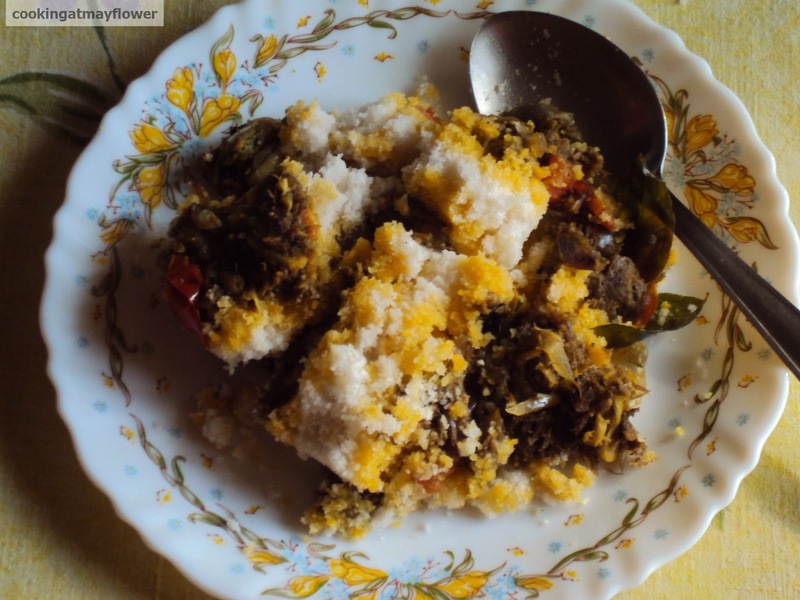 Serve along with rice and sallas. 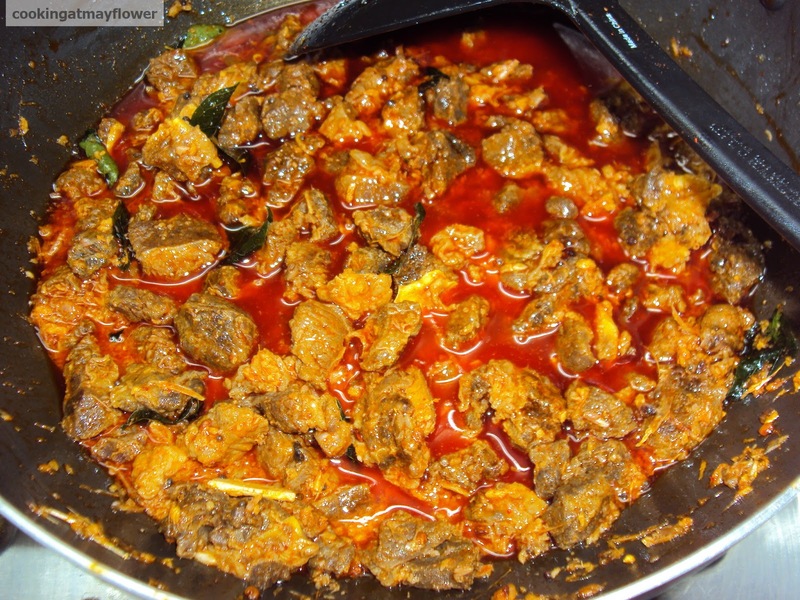 This recipe is a toddy shop style curry using few ingredients, which is tasty and easy to prepare. Clean and cut beef into cubes. Crush pearl onion, ginger, chilli powder and curry leaves. Marinate the beef cubes with the above crushed mixture for about 1 hour. Pressure cook the marinated beef cubes with water as required. 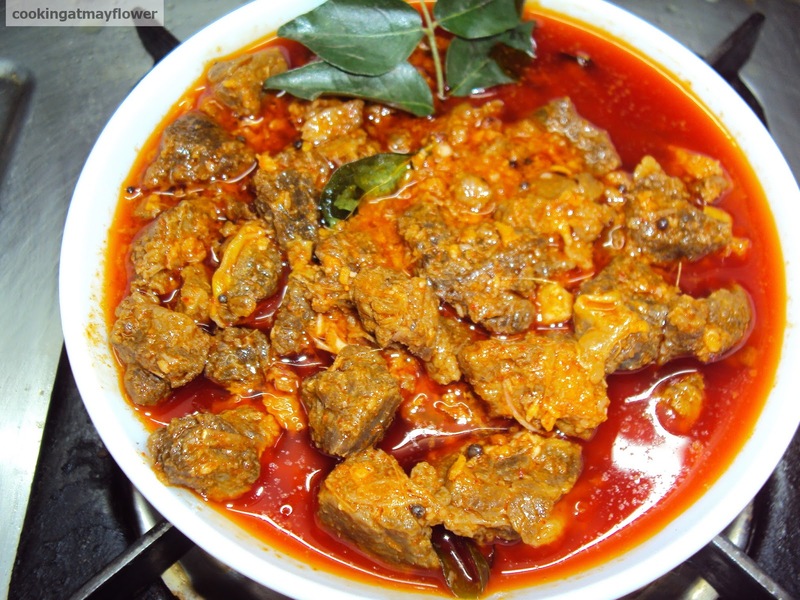 Once cooked, open the lid of the pressure cooker and cook till all the water in it dries out and the masala is thickened and beef is well coated with the masala. Top it with coconut oil. Serve hot. Wash and soak biriyani rice in water for 10 minutes. Drain and allow it to dry. Heat ghee in a nonstick pan. Splutter cinnamon, cloves and cardamom. After this, add rice and saute for 5 minutes. Add salt and 7 cups of boiling water to the rice. Cover and cook until rice has cooked well and the water is completely absorbed. Beef / Mutton - 1 kg cut in to 2 inch pieces. Heat oil in a pressure cooker. Saute ginger garlic paste. Add onion, green chilli and saute well. When the onion turns translucent, add tomatoes and mix well. When the tomatoes are mashed, add chilli powder, turmeric powder, and garam masala. Saute well. Add coriander leaves, mint leaves, curd and salt. and saute well . Add beef pieces and mix well. Add 1/2 cup of water and close the lid. Cook well Remove pressure cooker from heat. After some time, Open the lid of the cooker. There will be some gravy in the masala. Place the cooker over high heat and cook till the gravy in the beef masala thickens. Do not make the masala too dry. In a non stick pan, pour ghee.Spread half portion of beef masala, then add half portion of rice, half portion fried onions, nuts, coriander leaves and garam masala powder. Repeat the process again. On top add remaining garam masala powder, onion and nuts. Close the lid and cook for 5 - 10 minutes in low heat. Switch off the stove. Serve hot with curd onion raitha and pickle. Meat moong dal sprouts dumpling, is a tasty. healthy steamed snack. 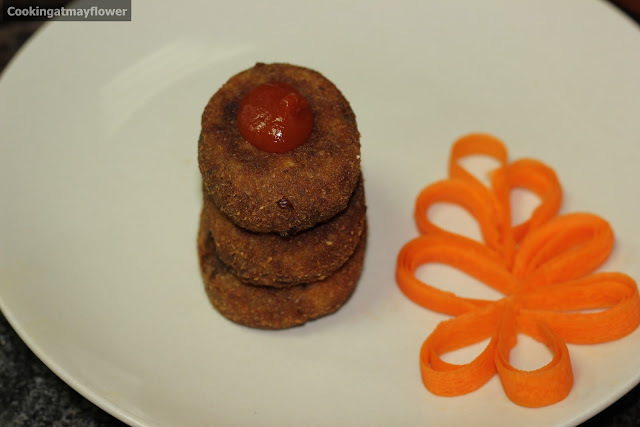 It is very easy to make .This is a perfect dish for Iftar. Heat oil in a pan. Saute onion, chillies, ginger, turmeric powder, and pepper powder. Add garam masala powder. Saute for a minute. Add minced meat and salt. Mix well. Add sprouted mung dal and coriander leaves. Switch off the flame. In a bowl, mix rice powder and salt. To this add boiling water. Combine with a spoon to make a smooth dough like idiyappam dough. Make balls out of the dough. 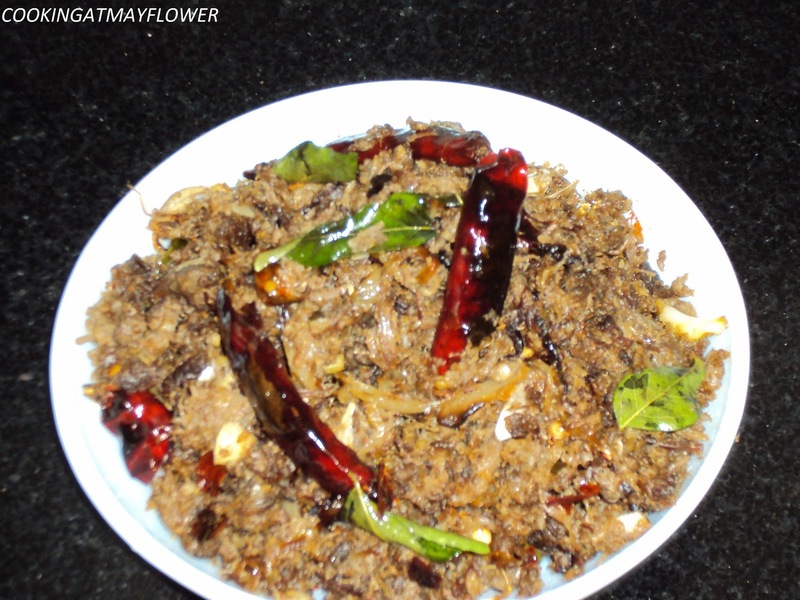 Flatten with your finger, stuff with minced meat mixture. Roll into balls again as in kozhukatta. Place them in a steamer and steam for about 15 minutes. Pressure cook beef, green chillies, ginger, turmeric powder, salt, and 1/2 cup water. Once cooked, set aside. Heat 1 tsp oil in a pan. Add grated coconut and fry till light brown. Now add peppercorns, fennel seeds, cinnamon stick, cloves, cardamom. Fry for a minute. When coconut turns brown, add coriander powder, chilli powder, and turmeric powder. Stir them and immediately switch off the stove and transfer it into another plate. When it is not hot anymore, transfer this to a blender and grind them to a fine paste. Add little water while grinding. Peel and cut raw banana into pieces. Soak them in a container of water with salt and turmeric powder. Wash them and add them to the pressure cooked beef. Cook them. Heat oil in a kadai. Splutter mustard seeds. Now add onion, garlic and curry leaves. Saute them. When onion turns brown, add the ground paste. Saute for a minute. Add this to the above prepared curry. Add water if required. When the all the masalas are well blended to the curry and it is a little thick, switch off the stove. This goes deliciously well with puttu, idiyappam, and rice. Pressure cook beef with green chillies, ginger , turmeric powder and salt. Keep this aside. Heat oil in same pressure cooker, saute onion, garlic, ginger, curry leaves. When the onion is transparent, add coriander powder, chilli powder, turmeric powder, pepper powder, meat masala powder. Now add tapioca, cooked beef, salt and water if required, and allow it to cook till 1-2 whistles. Kappayum beefum ready. Heat oil in a pan, saute onion, ginger, and green chillies. When it turns light pink, add ground masala and salt. Saute it. Add tomato and cook it till the oil starts to appear on the surface. Now add mince meat and water as required. Cook till all the water is absorbed. if using beef mince, you can use pressure cooker to cook. Grind the ingredients 2. Keep this aside. Heat oil in a pressure cooker. Saute onion, ginger, green chillies, and curry leaves. When it turns light brown in colour, add the ground ingredient from above and saute well. Now add meat, 3/4 cup water, salt as needed. Now close the lid and pressure cook till the meat is cooked. When the meat is cooked, reduce the gravy till it is thick. 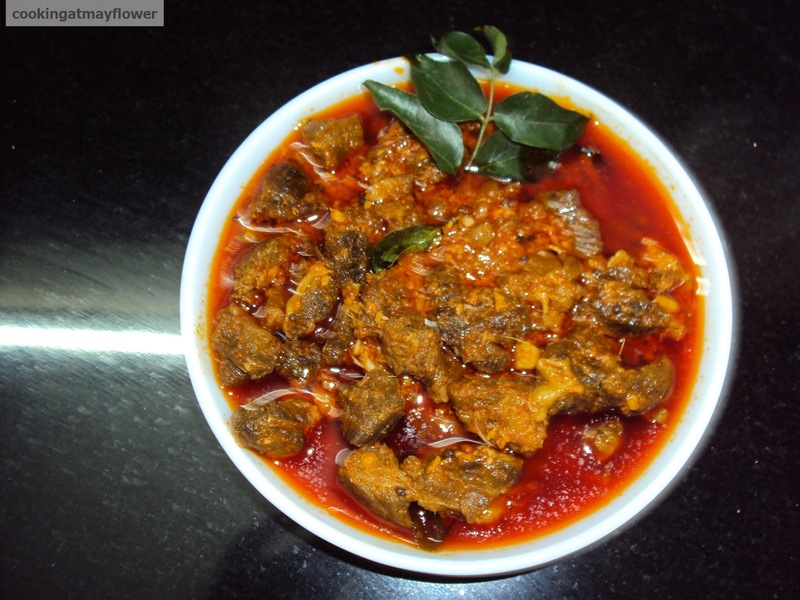 Serve hot with puttu, idiyappam, chapati. Onion, chopped - 1 no. Pressure cook beef, ginger, green chillies, and salt. Open the pressure cooker and dry out the water if any. Keep the cooked beef aside to cool. Now place them in the freezer for 45 mins to 1 hour. Remove it from the freezer and crush them in the blender. Crush dry red chillies and garlic. Keep this aside. Heat oil in a pan. Saute onion and curry leaves. Now add crushed dry red chillies and garlic. Saute them. Now add crushed beef and fry till they are crisp. Onion chopped - 2 Nos. Peel and mash the boiled potatoes. Cook meat mince with turmeric powder, salt, and little water. Reduce the water completely to get a dry cooked meat mince. Heat oil in a pan, add onion, green chillies, and ginger .When onion turns brown in color, add pepper powder, chilli powder, garam masala, meat masala, and coriander leaves. Saute them well till it is slightly dry. Add mashed potato to this. Now mix this well, make balls of it, flatten it, and dip them in egg white, then bread crumbs. 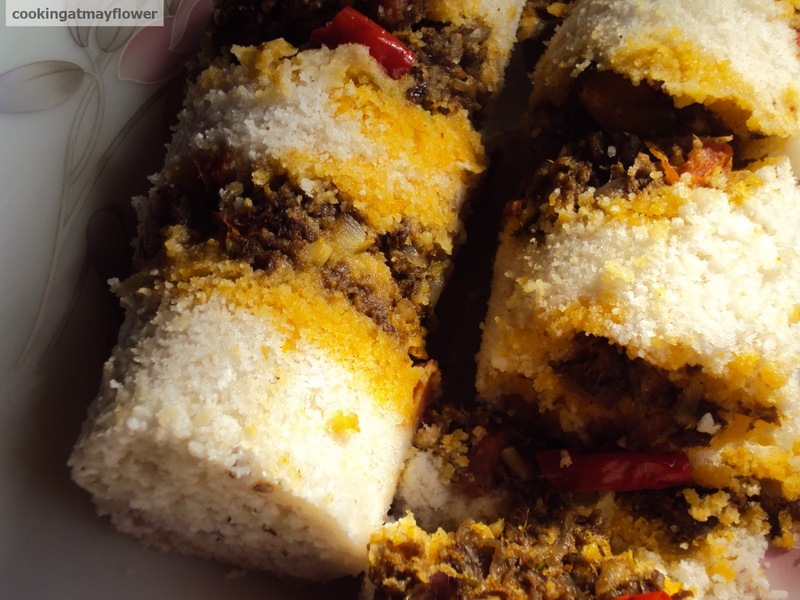 Mix rice flour and grated coconut well. Sprinkle salt water over rice flour and grated coconut mixture .Mix with hands so that lump don't form.
. Heat oil in a pan saute onion and green chillies . Then add ginger paste and garlic paste . When the raw smell leaves , add meat , coriander powder, chilli powder, turmeric powder , garam masala , salt and coriander leaves. Mix well . Add 1/2 cup of water and cook. When meat is all cooked and water is no more. Switch off the stove and keep them aside. Using puttu kutti start layering . Add one handful of flour, which is prepared and kept, then 3 tbsp cooked meat, , then again flour , 3 tabsp cooked meat . 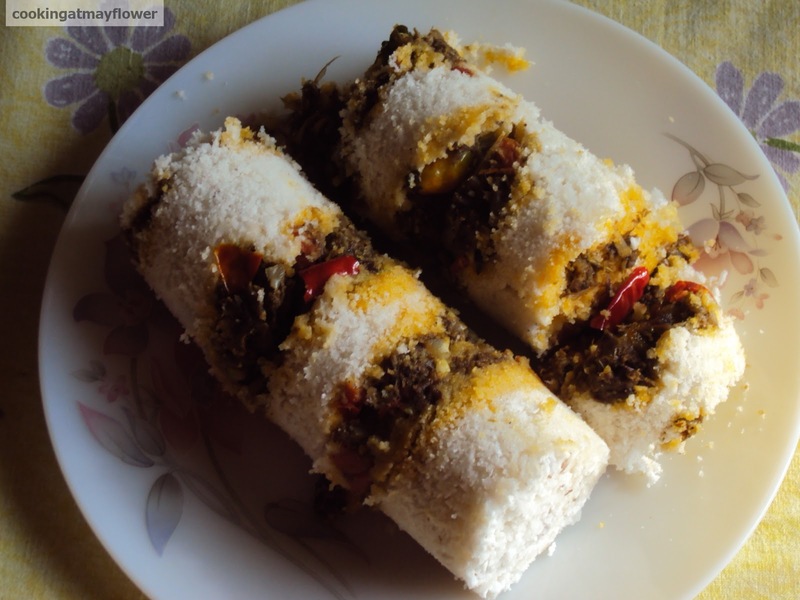 Till the puttu maker is full and now cook it . Cook for few more minutes after first steam come out. 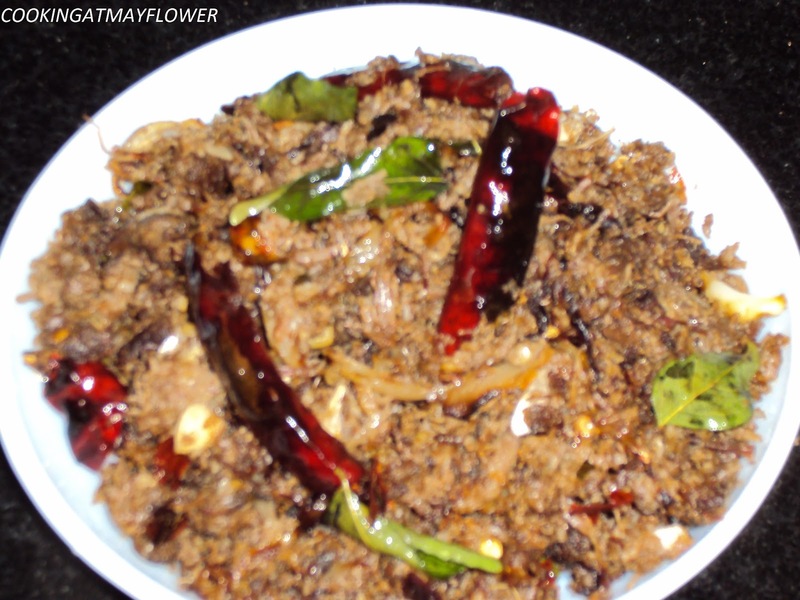 Pickle beef goes well with every main dish lending a distinct flavour and colour. Kindly note that for the recipe given below, the pickle should always be bottled and refrigerated as only minimal oil and zero preservatives are used. Take care not to use wet spoons when serving the pickle. Beef , - 1kg cleaned, cut in to 2cm pieces, washed and drained. Pressure cook the beef with salt and turmeric powder till it is just about done. Cook over high flame with the lid open to vaporise remaining water if any . Deep fry he meat in coconut oil and set a part . Crush the ginger and garlic . Boil the vinegar and water and set apart. Heat the oil, add the mustard and fenugreek. When they crackle. add the ginger, garlic, curry leaves and fry. Remove from flame and immediately add the chilli powder and asafoetida. Add the fried beef along with the boiled vinegar/ water. Bottle and transfer to refrigerator when cool. Cook beef in a pressure cooker with salt, green chillies, and ginger. Keep aside. Cut carrots and potatoes in cubes. Heat oil in a pan, splutter cinnamon, cloves, peppercorns, and cardamom. Saute onion, green chillies, and curry leaves. When onion becomes transparent, add water, potato and carrot. 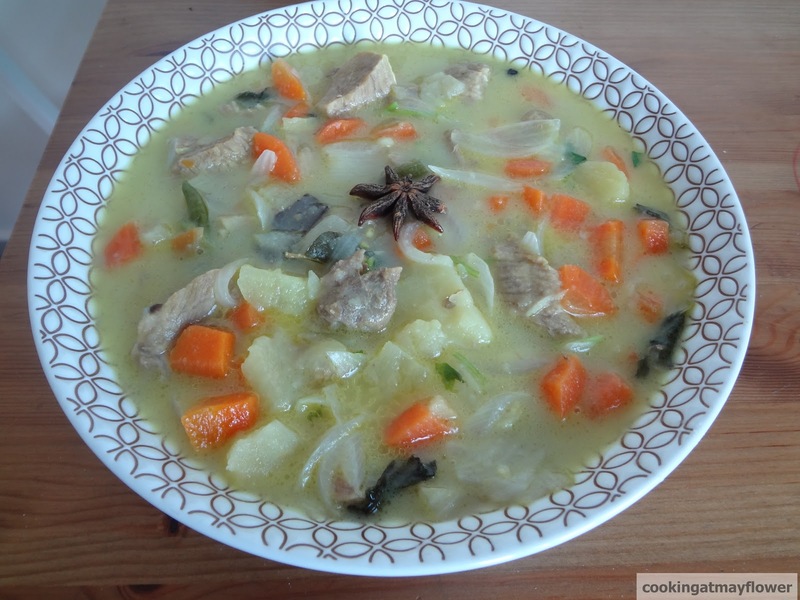 When carrot and potato is half boiled, add cooked beef along with stock. Now close the lid and cook potatoes and carrots in low flame. 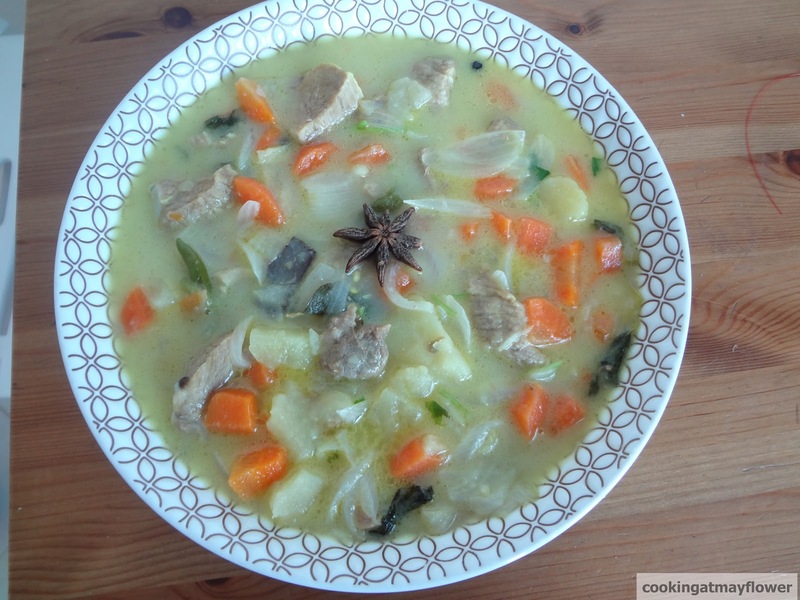 When potatoes and carrots are cooked, add 1/4 cup of coconut milk along with water. When it starts to boil and thicken, add remaining coconut milk. When it is about to boil, take out beef stew from stove. Garnish with coriander leaves and mint leaves. 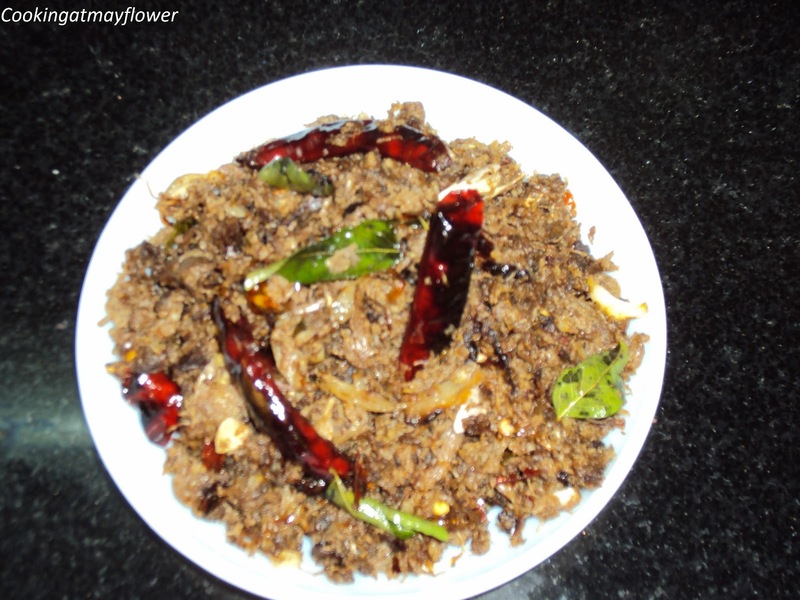 Serve with fresh white appams and bread. Cooking at Mayflower. Simple theme. Powered by Blogger.